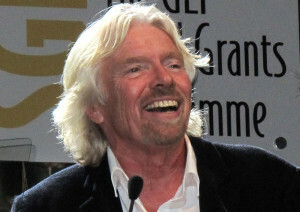 Sir Richard Branson, founder of the Virgin Group, will be a featured speaker at the 2014 BIO International Convention in San Diego — a June event that attracts the biggest names in biotech and regularly draws 15,000 people, the group announced Thursday. Branson will share the inside story of some of his greatest achievements over 40 years in business as well as the lessons he has learned from his setbacks. The event is June 23-26 at the San Diego Convention Center. He will tell the story behind the launches of his Virgin brands, including conquering new frontiers in space with Virgin Galactic, the world’s first commercial spaceline. He will also share his thoughts on the changing face of the global economy and how businesses worldwide need to work together to tackle environmental challenges and invest in the future of our world. Scott Whitaker, president of the BIO International Convention, said: “Innovation, entrepreneurism and problem-solving are key elements of biotechnology. We are thrilled that Sir Richard, one of the world’s most successful, exciting and unconventional entrepreneurs will be a keynote speaker at the 2014 BIO International Convention. The convention also features the BIO One-on-One Partnering™ system, a unique platform for biotechnology and pharmaceutical companies, academic research institutions, and investors from around the world to gather and discuss strategic opportunities. For registration, schedule-at-a-glance, partnering, and exhibitor information, visit 2014 BIO International Convention.